Facilitate your shipments thanks to Amazon FBA ! 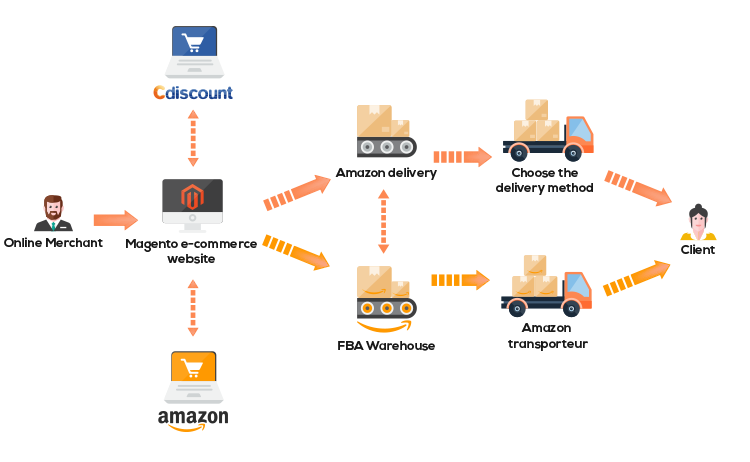 With Magento Amazon FBA, sell on your different channels (website, Amazon or other marketplaces) and Amazon will take care of delivering your products! You no longer need to choose between two incompatible options : manage your Amazon account and the FBA shipment and link your account to CDiscount directly via the Magento back office !